As of 1 April 2017 all Insertion Orders ("IOs") entered into between InMobi Pte Ltd, its subsidiaries and affiliated companies (collectively, "InMobi" or "we", "us", "our") and an Advertiser or Agency (hereby known as the "Advertiser") to display advertisements via the InMobi Advertising Network are governed by the IAB STANDARD TERMS AND CONDITIONS FOR INTERNET ADVERTISING FOR MEDIA BUYS ONE YEAR OR LESS (Version 3.0) (the "Terms") as amended by InMobi below. In the event, you are an Advertiser who is using the Affiliate Promotion Property, as defined below, please refer to the Data Protection Rider as set out here. "Affiliate Promotion Property" means third party websites permitted under an IO that are owned, operated or controlled by affiliate publisher channels which participate in Media Company’s off network affiliate program (outside of Media Company’s advertising platform) and on which Media Company has a contractual right to serve Ads. "IO" means a mutually agreed insertion order that incorporates these Terms, under which Media Company will deliver Ads on Sites for the benefit of Agency or Advertiser. "Media Company" means InMobi PTE Ltd its subsidiaries and affiliated companies. "Media Company Properties" are websites specified on an IO that are owned, operated, or controlled by Media Company. "Network Properties" means websites specified on an IO that are not owned, operated, or controlled by Media Company, but on which Media Company has a contractual right to serve Ads. "Policies" means advertising criteria or specifications made conspicuously available, including content guidelines, content limitations, technical specifications, privacy policies, user experience policies, policies regarding use of tags, cookies and any other technology now known or hereafter developed that is designed to track users' online behavior or activity, policies regarding consistency with Media Company's public image, community standards regarding obscenity or indecency (taking into consideration the portion(s) of the Site on which the Ads are to appear), other editorial or advertising policies, and Advertising Materials due dates. "Representative" means, as to an entity and/or its Affiliate(s), any director, officer, employee, consultant, contractor, agent, and/or attorney. "Site" or "Sites" means Affiliate Promotion Properties, Media Company Properties and Network Properties. "Terms" means these amended Standard Terms and Conditions for Internet Advertising for Media Buys One Year or Less, Version 3.0. "Third Party" means an entity or person that is not a party to an IO; for purposes of clarity, Media Company, Agency, Advertiser, and any Affiliates or Representatives of the foregoing are not Third Parties. "Third Party Ad Server" means a Third Party that will serve and/or track Ads. IO Details. From time to time, Media Company and Agency may execute IOs that will be accepted as set forth in Section I(b). As applicable, each IO will specify: (i) the type(s) and amount(s) of Deliverables, (ii) the price(s) for such Deliverables, (iii) the maximum amount of money to be spent pursuant to the IO, which may include how it is allocated to be spent across Media Company Properties and/or Affiliate Promotion Properties (iv) the start and end dates of the campaign, and (v) the identity of and contact information for any Third Party Ad Server. Other items that may be included are, but are not limited to, reporting requirements, any special Ad delivery scheduling and/or Ad placement requirements, and specifications concerning ownership of data collected. Excluding Advertising Materials provided by Advertiser, Media Company shall own and retain all right, title and interest in any materials and content it creates for the media buy pursuant to the IO. Advertiser agrees that it shall not at any time assert or claim any interest in, or do anything that may adversely affect the validity or enforceability of, any intellectual property or other proprietary right belonging to Media Company hereunder. Compliance with IO. Media Company will comply with the IO, including all Ad placement restrictions, and, except as set forth in Section VI(c), will use commercially reasonable efforts to create a reasonably balanced delivery schedule; provided that, Advertiser and Agency acknowledge that given the nature of Media Company's business impressions on Sites may vary at times. Media Company will provide, within the scope of the IO, an Ad to the Site specified on the IO when such Site is visited by an Internet user. Any exceptions will be approved by Agency in writing. Changes to Site. Media Company will use commercially reasonable efforts to provide Agency at least 10 business days prior notification of any material changes to the Site (excluding Affiliate Promotion Properties) that would materially change the target audience or materially affect the size or placement of the Ad specified on the applicable IO. Should such a modification occur with or without notice, as Agency's and Advertiser's sole remedy for such change, Agency may cancel the remainder of the affected placement without penalty within the 10-day notice period. If Media Company has failed to provide such notification, Agency may cancel the remainder of the affected placement within 30 days of such modification and, in such case, will not be charged for any affected Ads delivered after such modification. Technical Specifications. Media Company will submit or otherwise make electronically accessible to Agency final technical specifications within two (2) business days of the acceptance of an IO. Changes by Media Company to the specifications of already-purchased Ads after that two (2) business day period will allow Advertiser to suspend delivery of the affected Ad for a reasonable time (without impacting the end date, unless otherwise agreed by the parties) in order to (i) send revised Advertising Materials; (ii) request that Media Company resize the Ad at Media Company's cost, and with final creative approval of Agency, within a reasonable time period to fulfill the guaranteed levels of the IO; (iii) accept a comparable replacement; or (iv) if the parties are unable to negotiate an alternate or comparable replacement in good faith within five (5) business days, immediately cancel the remainder of the affected placement without penalty. Invoices. The initial invoice will be sent by Media Company upon completion of the first month's delivery, or within 30 days of completion of the IO, whichever is earlier. Invoices will be sent to Agency's billing address as set forth on the IO and will include information reasonably specified by Agency, such as the IO number, Advertiser name, brand name or campaign name, and any number or other identifiable reference stated as required for invoicing on the IO. All invoices (other than corrections of previously provided invoices) pursuant to the IO will be sent within 90 days of delivery of all Deliverables. Media Company acknowledges that failure by Media Company to send an initial invoice within such period may cause Agency to be contractually unable to collect payment from the Advertiser. If Media Company sends the initial invoice after the 90-day period and the Agency either has not received the applicable funds from the Advertiser or does not have the Advertiser's consent to dispense such funds, Agency will use commercially reasonable efforts to assist Media Company in collecting payment from the Advertiser or obtaining Advertiser's consent to dispense funds. Any failure by Agency to invoice the Advertiser within this time frame shall not in any way limit Media Company's ability to collect funds from the Advertiser. Upon request from the Agency, Media Company should provide proof of performance for the invoiced period, which may include access to online or electronic reporting, as addressed in these Terms, subject to the notice and cure provisions of Section IV. Media Company should invoice Agency for the services provided with the net cost (i.e., the cost after subtracting any applicable discounts and commissions, including but not limited to Agency commissions, if any) based on actual delivery, flat-fee, or based on prorated distribution of delivery over the term of the IO, as specified on the applicable IO. Payment Date. Order acceptance is subject to credit approval of Advertiser and/or Agency; Advertiser and Agency shall provide information reasonably requested by Media Company to evaluate such entity's credit and Media Company reserves the right to cancel credit at any time for any reason in its sole discretion, with or without notice. Provided credit is approved, payment is due thirty (30) days from the invoice date unless otherwise agreed in writing by Media Company. Media Company may notify Agency that it has not received payment in such 30-day period and whether it intends to seek payment directly from Advertiser pursuant to Section III(c), below, and Media Company may do so five (5) business days after providing such notice. In the event of non-payment, and without limiting any other remedies, Media Company may offset any amounts due to Media Company against any amounts due from Media Company to Advertiser (or Agency on its behalf) under any agreement or IO, or may offset such amounts against any charges for media to be delivered by Media Company. Payment Liability. Media Company may hold Agency liable for payments due by Advertiser, as the disclosed agent of the Advertiser, in the event of non-payment by Advertiser for Ads placed in accordance with the terms of the IO. Agency agrees that Media Company may hold Agency liable for payments in the event that proceeds have not cleared from Advertiser for Ads placed in accordance with the IO. Advertiser shall keep records related to payments made by it to Agency with respect to services provided by Media Company under this Agreement and Agency shall keep records related to payments received by it from Advertiser with respect to services provided by Media Company under this Agreement, and upon reasonable notice from Media Company, Advertiser and Agency shall allow Media Company to review such records. Unless otherwise set forth by the Media Company in the IO, a 2% per month (pro-rated for part thereof) penal interest on late payments shall be levied from the date of receipt of an invoice by the Media Company. Agency's credit is established on a client-by-client basis. If Advertiser proceeds have not cleared for the IO, other advertisers from Agency will not be prohibited from advertising on the Site due to such non-clearance if such other advertisers' credit is not in question. Upon request, Agency will make available to Media Company written confirmation of the relationship between Agency and Advertiser. This confirmation should include, for example, Advertiser's acknowledgment that Agency is its agent and is authorized to act on its behalf in connection with the IO and these Terms. In addition, upon the request of Media Company, Agency will confirm whether Advertiser has paid to Agency in advance funds sufficient to make payments pursuant to the IO. Payment Recovery Costs. Pursuant to Section III(b) above, in the event that Media Company is required to seek payment directly from Advertiser, Media Company may impose additional costs on Advertiser in relation to the IO associated with the recovery of the outstanding payment (i.e., the reasonable costs of debt recovery companies instructed to recover the payments). Media Company Reporting. If Media Company is serving the campaign, Media Company may make reporting available at least as often as weekly, either electronically or in writing, unless otherwise specified on the IO. Reports will be broken out by day and summarized by creative execution, content area (Ad placement), impressions, clicks, spend/cost, and other variables as may be defined on the IO (e.g., keywords). Once Media Company has provided the online or electronic report, if applicable, it agrees that Agency and Advertiser are entitled to reasonably rely on it, subject to provision of Media Company's invoice for such period. With 14 days' prior written notice to Media Company, without penalty, for any guaranteed Deliverable, including, but not limited to, CPM Deliverables. For clarity and by way of example, if Advertiser cancels the guaranteed portions of the IO eight (8) days prior to serving of the first impression, Advertiser will only be responsible for the first six (6) days of those Deliverables. With seven (7) days' prior written notice to Media Company, without penalty, for any non-guaranteed Deliverable, including, but not limited to, CPC Deliverables, CPL Deliverables, or CPA Deliverables, as well as some non-guaranteed CPM Deliverables. With 30 days' prior written notice to Media Company, without penalty, for any flat fee-based or fixed-placement Deliverable, including, but not limited to, roadblocks, time-based or share-of-voice buys, and some types of cancelable sponsorships. Advertiser will remain liable to Media Company for amounts due for any custom content or development ("Custom Material") provided to Advertiser or completed by Media Company or its third-party vendor prior to the effective date of termination. For IOs that contemplate the provision or creation of Custom Material, Media Company will specify the amounts due for such Custom Material as a separate line item. Advertiser will pay for such Custom Material within 30 days from receiving an invoice therefore. Notification of Under-delivery. Media Company will monitor delivery of the Ads, and will notify Agency either electronically or in writing as soon as possible if Media Company believes that an under-delivery is likely. In the case of a probable or actual under-delivery, Agency and Media Company may arrange for a makegood consistent with these Terms. Makegood Procedure. If actual Deliverables for any campaign fall below guaranteed levels, as set forth on the IO, and/or if there is an omission of any Ad (placement or creative unit), Agency and Media Company will use commercially reasonable efforts to agree upon the conditions of a makegood flight, either on the IO or at the time of the shortfall. If no makegood can be agreed upon, Agency may execute a credit equal to the value of the under-delivered portion of the IO for which it was charged. If Agency or Advertiser has made a cash prepayment to Media Company, specifically for the campaign IO for which under-delivery applies, then, if Agency and/or Advertiser is reasonably current on all amounts owed to Media Company under any other agreement for such Advertiser, Agency may elect to receive a refund for the under-delivery equal to the difference between the applicable pre-payment and the value of the delivered portion of the campaign. In no event will Media Company provide a makegood or extend any Ad beyond the period set forth on the IO without the prior written consent of Agency. Unguaranteed Deliverables. If an IO contains CPA Deliverables, CPL Deliverables, or CPC Deliverables, the predictability, forecasting, and conversions for such Deliverables may vary and guaranteed delivery, even delivery, and makegoods are not available. Generally. Excluding payment obligations, neither Agency nor Media Company will be liable for delay or default in the performance of its respective obligations under these Terms if such delay or default is caused by conditions beyond its reasonable control, including, but not limited to, fire, flood, accident, earthquakes, telecommunications line failures, electrical outages, network failures, acts of God, or labor disputes ("Force Majeure event"). If Media Company suffers such a delay or default, Media Company will make reasonable efforts within five (5) business days to recommend a substitute transmission for the Ad or time period for the transmission. If no such substitute time period or makegood is reasonably acceptable to Agency, Media Company will allow Agency a pro rata reduction in the space, time, and/or program charges hereunder in the amount of money assigned to the space, time, and/or program charges at the time of purchase. In addition, Agency will have the benefit of the same discounts that would have been earned had there been no default or delay. Cancellation. If a Force Majeure event has continued for five (5) business days, Media Company and/or Agency has the right to cancel the remainder of the IO without penalty. Submission. Agency will submit Advertising Materials pursuant to Section II(c) in accordance with Media Company's then-existing Policies. Media Company's sole remedies for a breach of this provision are set forth in Section V(b), above, Sections IX (c) and (d), below, and Sections X (b) and (c), below. Late Creative. If Advertising Materials are not received by the IO start date, Media Company will begin to charge the Advertiser on the IO start date on a pro rata basis based on the full IO, excluding portions consisting of performance-based, non-guaranteed inventory, for each full day the Advertising Materials are not received. If Advertising Materials are late based on the Policies, Media Company is not required to guarantee full delivery of the IO. Media Company and Agency will negotiate a resolution if Media Company has received all required Advertising Materials in accordance with Section IX(a) but fails to commence a campaign on the IO start date. Damaged Creative. If Advertising Materials provided by Agency are damaged, not to Media Company's specifications, or otherwise unacceptable, Media Company will use commercially reasonable efforts to notify Agency within two (2) business days of its receipt of such Advertising Materials. If Advertiser or Agency fails to provide Media Company with Advertising Materials to replace such damaged, non-compliant or otherwise unacceptable Advertising Materials prior to the scheduled start of the media flight, Advertising Materials will be deemed ‘late' pursuant to subsection IX(b). Ad Tags. When applicable, Third Party Ad Server tags will be implemented so that they are functional in all aspects.  All use of Third Party Ad Server tags shall comply with Media Company's Policies including, without limitation, policies regarding use of tags, cookies and any other technology now known or hereafter developed that is designed to track users' online behavior or activity as supplied by Media Company from time to time. Policies. For the purposes of Section X(b), Agency agrees that new and/or amended Policies posted by Media Company from time to time at http://www.inmobi.com/terms / shall satisfy the requirement to provide prior notice of such Policies to Agency. By Media Company. Media Company will defend, indemnify, and hold harmless Agency, Advertiser, and each of its Affiliates and Representatives from damages, liabilities, costs, and expenses (including reasonable attorneys' fees) (collectively, "Losses") resulting from any allegations, actions, causes of action, obligations, demands, threatened claims and claim, judgment, or proceeding (collectively, "Claims") brought by a Third Party and resulting from (i) Media Company's alleged breach of Section XII or of Media Company's representations and warranties in Section XIV(a), or (ii) Advertising Materials provided by Media Company for an Ad (and not by Agency, Advertiser, and/or each of its Affiliates and/or Representatives) ("Media Company Advertising Materials") that: (A) violate any applicable law, regulation, judicial or administrative action, or the right of a Third Party; or (B) are defamatory or obscene. Notwithstanding the foregoing, Media Company will not be liable for any Losses resulting from Claims to the extent that such Claims result from (1) Media Company's customization of Ads or Advertising Materials based upon detailed specifications, materials, or information provided by the Advertiser, Agency, and/or each of its Affiliates and/or Representatives, or (2) a user viewing an Ad outside of the targeting set forth on the IO, which viewing is not directly attributable to Media Company's serving such Ad in breach of such targeting. By Advertiser. Advertiser will defend, indemnify, and hold harmless Media Company and each of its Affiliates and Representatives from Losses resulting from any Claims brought by a Third Party resulting from (i) Advertiser's alleged breach of Section XII or of Advertiser's representations and warranties in Section XIV(a), (ii) Advertiser's violation of Policies (to the extent the terms of such Policies have been provided (e.g., by making such Policies available by providing a URL) via email or other affirmative means, to Agency or Advertiser at least 14 days prior to the violation giving rise to the Claim), or (iii) the content or subject matter of any Ad or Advertising Materials to the extent used by Media Company in accordance with these Terms or an IO. Advertiser shall further indemnify Media Company and each of its Affiliates and Representatives from Losses resulting from any Claims brought by a Third Party resulting from (1) Ads and Advertising Materials provided by Advertiser or Agency to Media Company and posted on a Site, (2) Media Company's use of any content or technology other than an Ad or Advertising Materials that Advertiser or Agency require Media Company to use, (3) the pages and sites to which an Ad or Advertising Materials link, and (4) use of any products sold through an Ad or Advertising Materials or through pages or sites to which they link. By Agency. Agency represents and warrants that it has the authority as Advertiser's agent to bind Advertiser to these Terms and each IO, and that all of Agency's actions related to these Terms and each IO will be within the scope of such agency. Agency will defend, indemnify, and hold harmless Media Company and each of its Affiliates and Representatives from Losses resulting from (i) Agency's alleged breach of the foregoing sentence, or (ii) Claims brought by a Third Party alleging that Agency has breached its express, Agency-specific obligations under Section XII. Procedure. The indemnified party(s) will promptly notify the indemnifying party of all Claims of which it becomes aware (provided that a failure or delay in providing such notice will not relieve the indemnifying party's obligations except to the extent such party is prejudiced by such failure or delay), and will: (i) provide reasonable cooperation to the indemnifying party at the indemnifying party's expense in connection with the defense or settlement of all Claims; and (ii) be entitled to participate at its own expense in the defense of all Claims. The indemnified party(s) agrees that the indemnifying party will have sole and exclusive control over the defense and settlement of all Claims; provided, however, the indemnifying party will not acquiesce to any judgment or enter into any settlement, either of which imposes any obligation or liability on an indemnified party(s) without its prior written consent. Excluding Agency's, Advertiser's, and Media Company's respective obligations under Section X, damages that result from a breach of Section XII, or intentional misconduct by Agency, Advertiser, or Media Company, in no event will any party be liable for any consequential, indirect, incidental, punitive, special, or exemplary damages whatsoever, including, but not limited to, damages for loss of profits, business interruption, loss of information, and the like, incurred by another party arising out of an IO, even if such party has been advised of the possibility of such damages. Except in connection with the indemnification obligation under Section X(a), Media Company's (including all companies on whose Sites Ads are distributed ("Participating Companies") total cumulative liability to Advertiser or Agency from all causes of action, claims and all theories of liability will be limited to direct damages only and will not, exceed the fees received by Media Company corresponding to the portion of the IO spend for Ads distributed on either (a) Media Company Properties or (b) Affiliate Promotion Properties to the extent such causes(s) of action arise from each such distribution channel, respectively. Participating Companies shall be deemed third party beneficiaries of Advertiser's obligations hereunder including Advertiser's indemnity obligations. Definitions and Obligations. "Confidential Information" will include (i) all information marked as "Confidential," "Proprietary," or similar legend by the disclosing party ("Discloser") when given to the receiving party ("Recipient"); and (ii) information and data provided by the Discloser, which under the circumstances surrounding the disclosure should be reasonably deemed confidential or proprietary. Without limiting the foregoing, Discloser and Recipient agree that each Discloser's contribution to IO Details (as defined below) shall be considered such Discloser's Confidential Information. Recipient will protect Confidential Information in the same manner that it protects its own information of a similar nature, but in no event with less than reasonable care. Recipient shall not disclose Confidential Information to anyone except an employee, agent, Affiliate, or third party who has a need to know same, and who is bound by confidentiality and non-use obligations at least as protective of Confidential Information as are those in this section. Recipient will not use Discloser's Confidential Information other than as provided for on the IO. Exceptions. Notwithstanding anything contained herein to the contrary, the term "Confidential Information" will not include information which: (i) was previously known to Recipient; (ii) was or becomes generally available to the public through no fault of Recipient; (iii) was rightfully in Recipient's possession free of any obligation of confidentiality at, or prior to, the time it was communicated to Recipient by Discloser; (iv) was developed by employees or agents of Recipient independently of, and without reference to, Confidential Information; or (v) was communicated by Discloser to an unaffiliated third party free of any obligation of confidentiality. Notwithstanding the foregoing, the Recipient may disclose Confidential Information of the Discloser in response to a valid order by a court or other governmental body, as otherwise required by law or the rules of any applicable securities exchange, or as necessary to establish the rights of either party under these Terms; provided, however, that both Discloser and Recipient will stipulate to any orders necessary to protect such information from public disclosure. GDPR. Without limiting the generality of the terms of the agreement, for Advertiser/Agency/Reseller who have users based in EEA, Advertiser/Agency/Reseller acknowledge and agree that your collection, use, sharing and/or treatment of any Personal Data (as such term is defined under the General Data Protection Regulation ("GDPR")) must be in compliance with the requirements of GDPR. If Advertiser/Agency/Reseller whether by itself or through its third parties provide or share with Media Company any Personal Data for users based in EEA, Advertiser/Agency/Reseller will as the Controller (as such term is defined under GDPR) remain responsible for obtaining appropriate user consent and execute a relevant data protection agreement for setting out the terms of Processing (as such term is defined under GDPR) by Media Company. Where you intend to share any EEA user Personal Data as defined under GDPR with Media Company, please share your data protection agreement with us for review. You agree not to share any EEA user Personal Data with Media Company except where such a data protection agreement has been executed. If Advertiser/Agency/Reseller are a GDPR compliant demand partner with Media Company and where you or your third parties (at your behest) are receiving EEA user Personal Data as defined under GDPR from Media Company, you accept the terms of the Data Protection Rider as set out in www.inmobi.com/advertiser-data-protection-rider for the permitted scope of Processing of such Personal Data by you. If you have not accepted the said data protection agreement, Media Company as the Controller will not be in a position to share any such Personal Data with you or your third parties. Where Advertiser/Agency/Reseller require any third party including its trackers on its behalf to either receive from Media Company or share with Media Company, any Personal Data, Advertiser/Agency/Reseller shall remain liable for the acts and omissions of its third parties to the same extent Advertiser/Agency/Reseller would be liable if it were either receiving/sharing such Personal Data from/with Media Company. Accordingly, Advertiser/Agency/Reseller agrees to execute appropriate data processing agreements with such third parties. "User Volunteered Data" is personally identifiable information collected from individual users by Media Company during delivery of an Ad pursuant to the IO, but only where it is expressly disclosed to such individual users that such collection is solely on behalf of Advertiser. "IO Details" are details set forth on the IO but only when expressly associated with the applicable Discloser, including, but not limited to, Ad pricing information, Ad description, Ad placement information, and Ad targeting information. "Performance Data" is data regarding a campaign gathered during delivery of an Ad pursuant to the IO (e.g., number of impressions, interactions, and header information), but excluding Site Data or IO Details. "Site Data" is any data that is (A) preexisting Media Company data used by Media Company pursuant to the IO; (B) gathered pursuant to the IO during delivery of an Ad that identifies or allows identification of Media Company, Media Company's Site, brand, content, context, or users as such; or (C) entered by users on any Media Company Site other than User Volunteered Data. "Collected Data" consists of IO Details, Performance Data, and Site Data. "Repurposing" means retargeting a user or appending data to a non-public profile regarding a user for purposes other than performance of the IO. "Aggregated" means a form in which data gathered under an IO is combined with data from numerous campaigns of numerous Advertisers and precludes identification, directly or indirectly, of an Advertiser. Notwithstanding anything to the contrary contained in this Agreement, any data (including, without limitation, User Volunteered Data, Performance Data and Site Data) collected and used by Advertiser, Agency and any Third Party acting on their behalf or otherwise engaged to render, perform or provide services for Advertiser or Agency in connection with a campaign (including, without limitation, Third Party Ad Servers) is subject to Media Company's prior written approval. Without limiting the foregoing, unless otherwise authorized by Media Company in advance in writing, Advertiser, Agency and any Third Party acting on their behalf or otherwise engaged to render, perform or provide services for Advertiser or Agency in connection with a campaign (including, without limitation, Third Party Ad Servers) may collect and use Collected Data solely for the purpose of performing under the IO and may not collect or use it for any other purpose (including, without limitation, to target or retarget advertisements). Upon reasonable advance notice, Media Company may review documents in the possession of Advertiser, Agency and any Third Party acting on their behalf or otherwise engaged to render, perform or provide services for Advertiser or Agency in connection with a campaign (including, without limitation, Third Party Ad Servers) solely for the purpose of verifying compliance with the foregoing and Advertiser shall ensure Media Company has reasonable access to all such documents for such purpose. In addition, unless otherwise authorized by Media Company in advance in writing, neither Advertiser nor Agency will (A) disclose IO Details of Media Company or Site Data to any Affiliate or Third Party (including, without limitation, Third Party Ad Servers) except as set forth in Section XII(d)(iii)." Unless otherwise authorized by Agency or Advertiser, Media Company will not: (A) use or disclose IO Details of Advertiser, Performance Data, or a user's recorded view or click of an Ad, each of the foregoing on a non-Aggregated basis, for Repurposing or any purpose other than performing under the IO, compensating data providers in a way that precludes identification of the Advertiser, or internal reporting or internal analysis; or (B) use or disclose any User Volunteered Data in any manner other than in performing under the IO. Media Company may use Collected Data in an Aggregated form generated or collected in connection with the IO (collectively "Permitted Data") for reporting purposes, optimizing network performance, and other legitimate business purposes of Media Company, on the basis that the Permitted Data does not identify Advertiser and is not used to target based upon Advertiser's identity." Advertiser, Agency, and Media Company (each a "Transferring Party") will require any Third Party or Affiliate used by the Transferring Party in performance of the IO on behalf of such Transferring Party to be bound by confidentiality and non-use obligations at least as restrictive as those on the Transferring Party, unless otherwise set forth in the IO. Media Company may collect and store anonymous device identifiers provided by the Advertiser, solely for the purpose of targeting or retargeting advertisements, unless the Advertiser prevents collection or storage of the anonymous device identifiers in any applicable IO placed with the Media Company. Agency Use of Data. Agency will not: (i) use Collected Data unless Advertiser is permitted to use such Collected Data, nor (ii) use Collected Data in ways that Advertiser is not allowed to use such Collected Data. Notwithstanding the foregoing or anything to the contrary herein, the restrictions on Advertiser in Section XII(d)(i) shall not prohibit Agency from (A) using Collected Data on an Aggregated basis for internal media planning purposes only (but not for Repurposing), or (B) disclosing qualitative evaluations of Aggregated Collected Data to its clients and potential clients, and Media Companies on behalf of such clients or potential clients, for the purpose of media planning. Ad Serving and Tracking. Media Company will track delivery through its ad server and, provided that Media Company has approved in writing a Third Party Ad Server to run on its properties, Agency will track delivery through such Third Party Ad Server. Agency may not substitute the specified Third Party Ad Server without Media Company's prior written consent.  Except as specified in Section XIII(b)(iii), the Controlling Measurement will be taken from an ad server that is certified as compliant with the IAB/AAAA Ad Measurement Guidelines (the "IAB/AAAA Guidelines"). If both ad servers are compliant with the IAB/AAAA Guidelines, the Controlling Measurement will be the Third Party Ad Server if such Third Party Ad Server provides an automated, daily reporting interface which allows for automated delivery of relevant and non-proprietary statistics to Media Company in an electronic form that is approved by Media Company; provided, however, that Media Company must receive access to such interface in the timeframe set forth in Section XIII(c), below. If neither party's ad server is compliant with the IAB/AAAA Guidelines or the requirements in subparagraph (ii), above, cannot be met, the Controlling Measurement will be based on Media Company's ad server, unless otherwise agreed by Agency and Media Company in writing. Ad Server Reporting Access. As available, the party responsible for the Controlling Measurement will provide the other party with online or automated access to relevant and non-proprietary statistics from the ad server within one (1) day after campaign launch. The other party will notify the party with Controlling Measurement if such party has not received such access. If such online or automated reporting is not available, the party responsible for the Controlling Measurement will provide placement-level activity reports to the other party in a timely manner, as mutually agreed to by the parties or as specified in Section IV(b), above, in the case of Ads being served by Media Company. If both parties have tracked the campaign from the beginning and the party responsible for the Controlling Measurement fails to provide such access or reports as described herein, then the other party may use or provide its ad server statistics as the basis of calculating campaign delivery for invoicing. Notification may be given that access, such as login credentials or automated reporting functionality integration, applies to all current and future IOs for one or more Advertisers, in which case new access for each IO is not necessary. Nothing in this Section XIII(c) shall limit, replace or nullify any other obligation set forth in this Agreement (including this InMobi Addendum). Measurement Methodology. Media Company will make reasonable efforts to publish, and Agency will make reasonable efforts to cause the Third Party Ad Server to publish, a disclosure in the form specified by the AAAA and IAB regarding their respective ad delivery measurement methodologies with regard to compliance with the IAB/AAAA Guidelines. Third Party Ad Server Malfunction. Where Agency is using a Third Party Ad Server and that Third Party Ad Server cannot serve the Ad, Agency will have a one-time right to temporarily suspend delivery under the IO for a period of up to 72 hours. Upon written notification by Agency of a non-functioning Third Party Ad Server, Media Company will have 24 hours to suspend delivery. Following that period, Agency will not be held liable for payment for any Ad that runs within the immediately following 72-hour period until Media Company is notified that the Third Party Ad Server is able to serve Ads. After the 72-hour period passes and Agency has not provided written notification that Media Company can resume delivery under the IO, Advertiser will pay for the Ads that would have run, or are run, after the 72-hour period but for the suspension, and can elect Media Company to serve Ads until the Third Party Ad Server is able to serve Ads. If Agency does not so elect for Media Company to serve the Ads until Third Party Ad Server is able to serve Ads, Media Company may use the inventory that would have been otherwise used for Media Company's own advertisements or advertisements provided by a Third Party. Third Party Ad Server Fixed. Upon notification that the Third Party Ad Server is functioning, Media Company will have 72 hours to resume delivery. Any delay in the resumption of delivery beyond this period, without reasonable explanation, will result in Media Company owing a makegood to Agency. Assignment. Neither Agency nor Advertiser may resell, assign, or transfer any of its rights or obligations hereunder, and any attempt to resell, assign, or transfer such rights or obligations without Media Company's prior written approval will be null and void. All terms and conditions in these Terms and each IO will be binding upon and inure to the benefit of the parties hereto and their respective permitted transferees, successors, and assigns. Entire Agreement. Each IO (including the Terms) will constitute the entire agreement of the parties with respect to the subject matter thereof and supersede all previous communications, representations, understandings, and agreements, either oral or written, between the parties with respect to the subject matter of the IO. The IO may be executed in counterparts, each of which will be an original, and all of which together will constitute one and the same document. Each IO may be executed by electronic signature and exchanged by email in scanned or pdf format. Conflicts; Governing Law; Amendment. In the event of any inconsistency between the terms of an IO and these Terms, the terms of the IO will prevail. All IOs will be governed by the laws set out in the terms of the IO. Media Company and Agency (on behalf of itself and Advertiser) agree that any claims, legal proceedings, or litigation arising in connection with the IO (including these Terms) will be brought solely in the country set out in the IO, and the parties consent to the jurisdiction of such courts. No modification of these Terms will be binding unless in writing and signed by both parties. If any provision herein is held to be unenforceable, the remaining provisions will remain in full force and effect. All rights and remedies hereunder are cumulative. In the event of an IO not containing a law and jurisdiction provision the terms of the IO shall be governed by and construed in accordance with the laws of Singapore. Notice. Any notice required to be delivered hereunder will be deemed delivered three days after deposit, postage paid, in U.S. mail, return receipt requested, one business day if sent by overnight courier service, and immediately if sent electronically or by fax. All notices to Media Company and Agency will be sent to the contact as noted on the IO with a copy to the Legal Department. All notices to Advertiser will be sent to the address specified on the IO. Survival. Sections III, VI, X, XI, XII, and XIV will survive termination or expiration of these Terms, and Section IV will survive for 30 days after the termination or expiration of these Terms. In addition, each party will promptly return or destroy the other party's Confidential Information upon written request and remove Advertising Materials and Ad tags upon termination of these Terms. Please note that in addition to the above, advertiser must also ensure that the Ads also strictly comply with any region specific requirements, regulations and/or laws. If you are a publisher, please refer the Terms of Service to comply with any specific requirements, regulations and/or laws.